The Coleridge. 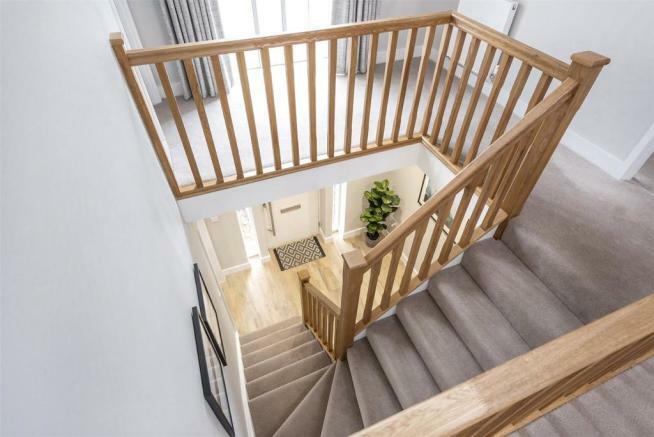 A striking four bedroom semi-detached home set over three floors. The property features an open plan kitchen/dining area and separate living room with French doors opening out onto the garden. The second floor boasts a fantastic bedroom with the entire floor to itself, complete with dressing area and en-suite. This home also comes with two allocated parking spaces. Set amongst the rolling green countryside of the Welsh and English boarder Hay-on-Wye boasts some breathtaking scenery. 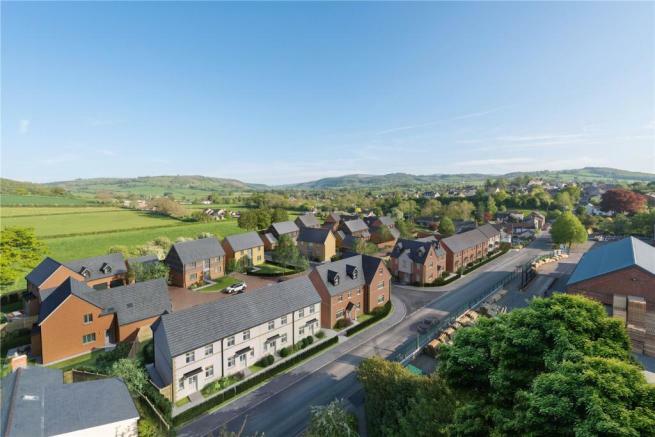 Bookers Edge is within short walking distance of the sought after market town of Hay-on-Wye, famous for its book shops and the international book festival. Hay-on-Wye is in an area of Outstanding Natural Beauty and offers visitors a wealth of opportunities to explore the glorious countryside. The house designs blend traditional countryside elevations with contemporary interiors. The location benefits from good local schools, close proximity to town centre, the Black Mountains and the River Wye. 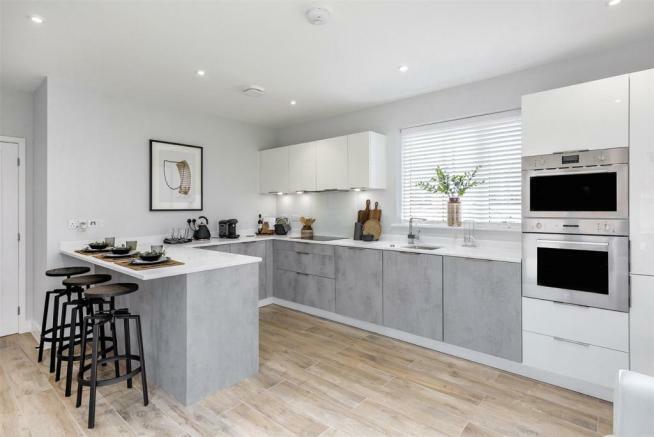 Each house will be fitted with contemporary, high quality German made Kuhlmann kitchens, turfed garden, integrated appliances to include fridge/freezer, dishwasher, oven, hob and hood. 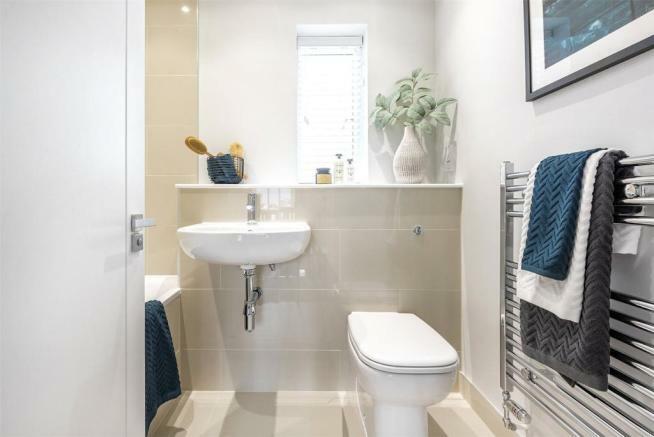 Contemporary style sanitaryware is fitted in the bathrooms with ceramic tiles to floors and walls along with electrical additions such as USB charging points to walls. 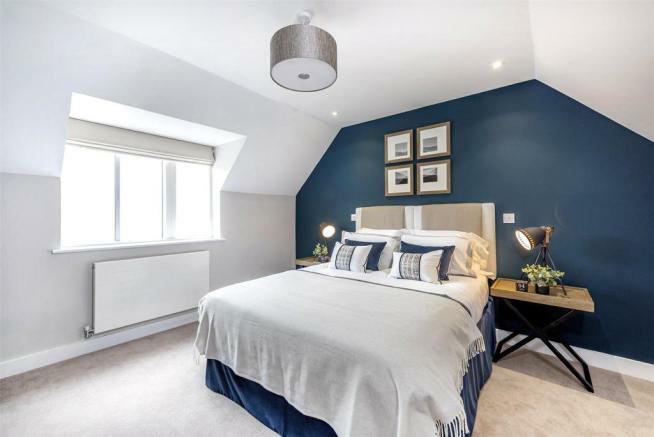 Acorn is an independent development and regeneration specialist that has, for many years, successfully created a range of residential-led refurbishment and new build schemes. With offices in London, Bristol, Cardiff, Hampshire and the South West of England they specialise in bespoke developments of many sizes. Show Home now open. 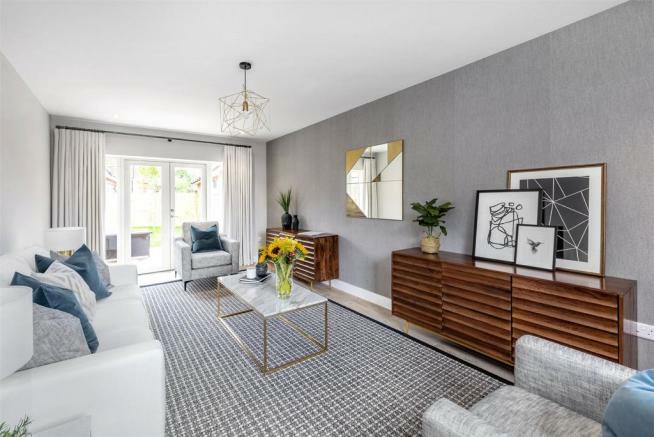 Buy now with a 5% deposit with the Help to Buy Scheme YOUR HOME MAY BE REPOSSESSED IF YOU DO NOT KEEP UP REPAYMENTS ON YOUR MORTGAGE OR OTHER DEBT SECURED ON IT. Credit is secured against your home. Help to Buy is subject to status and the government's terms & conditions for more information see www.helptobuy.gov.uk. Help to Buy is available on selected properties up to £600,000 in England only. Disclaimer - Property reference HAY180126. The information displayed about this property comprises a property advertisement. Rightmove.co.uk makes no warranty as to the accuracy or completeness of the advertisement or any linked or associated information, and Rightmove has no control over the content. This property advertisement does not constitute property particulars. The information is provided and maintained by McCartneys LLP, Hay-On-Wye. Please contact the selling agent or developer directly to obtain any information which may be available under the terms of The Energy Performance of Buildings (Certificates and Inspections) (England and Wales) Regulations 2007 or the Home Report if in relation to a residential property in Scotland.